932 people bought this course. 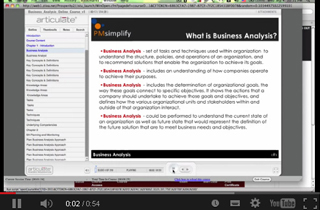 At the completion of this course, students will have learnt the fundamentals of Business Analysis. The course is aligned with the BABOK® Guide 3rd edition. CBAP aspirants will earn 25 contact hours certificate at the end of the training, which will meet the requirements of the CBAP examination. Certified PMP will earn 25 category A PDUs. "PMI", "PMBOK", "PMP®", "PMI-RMP" and "PMI-ACP" are registered marks of the Project Management Institute, Inc.